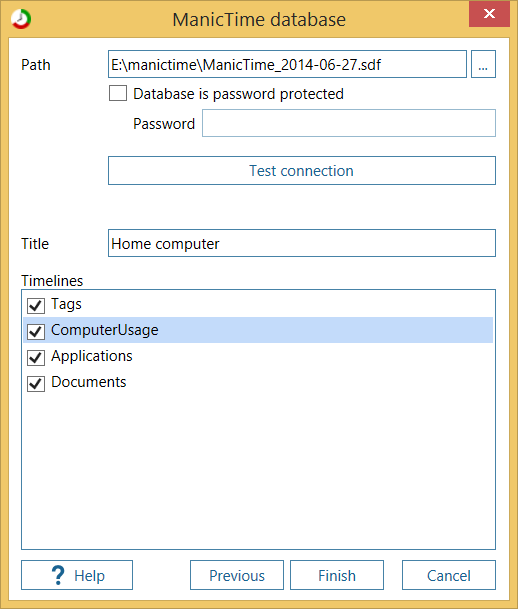 Although you can use ManicTime server to share data between clients, it can be an overkill to set it up for some simple home scenarios. 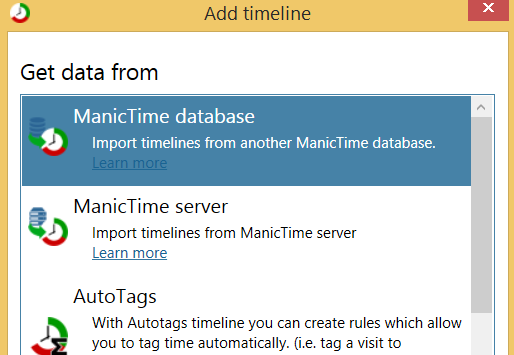 If you just want to combine the data from two databases, lets say create a timehseet from two locations, you can use the new ManicTime database plugin. It will load timelines from another database. 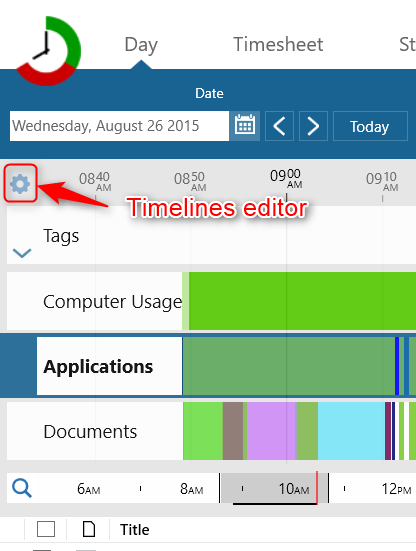 Click on Add timeline, then select ManicTime Database. If you want to use a newer backup you can just close ManicTime, copy new backup over the old one and start it again. MT will then use the new database and load the new data.